5 Fruit and Veggie Smoothies: A refreshing and energizing smoothie for each day of the work week! In the distant future, let’s say the year 3020, I would assume food would be consumed differently. Everything would revolve around efficiency. Instead of “real food”, we’d all be eating pills, powders, and shakes of sorts. Turkey and stuffing shake for Thanksgiving? Roasted salmon with spiced cauliflower in conveniently packaged bars? Or how about three meals worth of calories and nutrients in an easy to swallow pill? Perhaps I read too many sci-fi and fantasy books. But if that is really how the future of food looks like, I think I’ll just live off of fruit and veggie smoothies. Still recovering from the holiday indulgent eat-a-thon, I’m trying to start the day with fruits and veggies, instead of pancakes and lattes. While I’m still on the fence whether smoothies are truly “healthy,” I think these smoothies are super tasty. I feel so much better starting the day off with something bright and fresh. I have yet to try making smoothies with oats or nuts, but for now, these are my favorites! Once upon a time I was skeptical about green smoothies. Spinach in my drink? Yuck. But ever since trying my first green smoothie circa 2014, I’ve been hooked. This one is my favorite of the series. The combination of ginger, banana, and mango is so tropical and invigorating. The ginger really packs a punch and I LOVE IT! 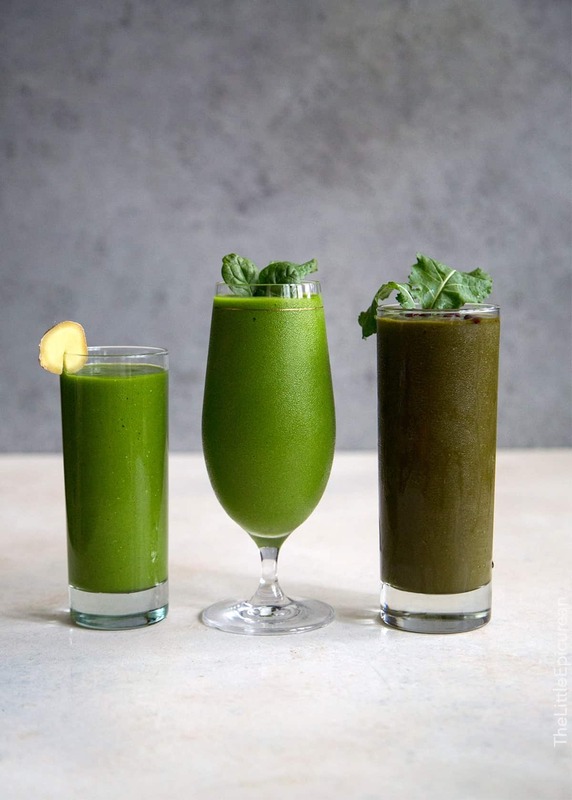 This is the perfect introduction to green smoothies. The sweetness of bananas and apple juice masks any flavor from the kale and spinach. This is the green smoothie for advanced drinkers. 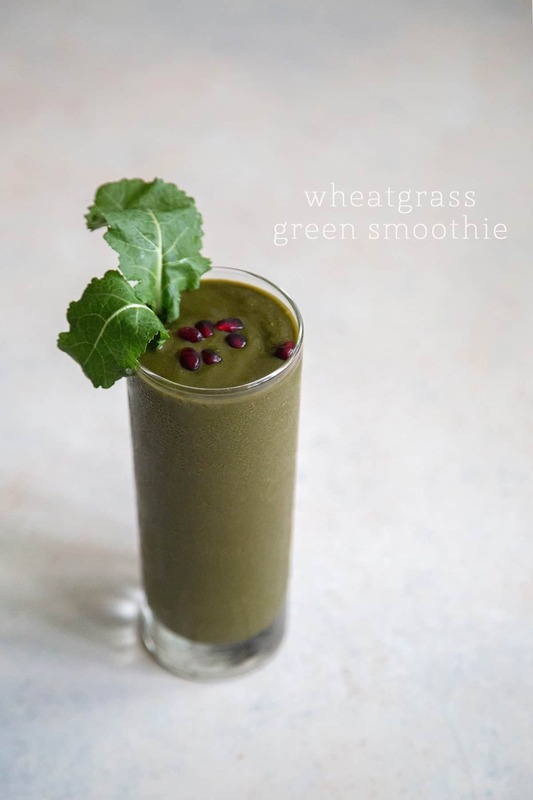 Made with concentrated wheatgrass powder, this smoothie is earthy. 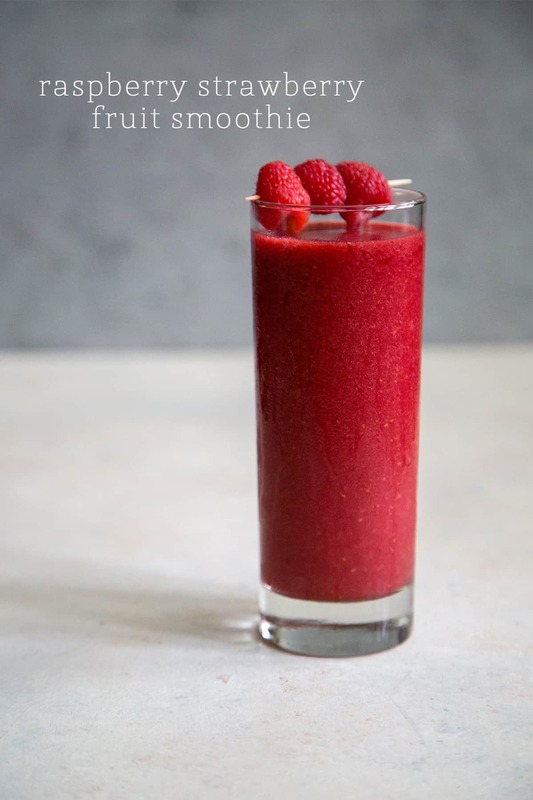 The pomegranate juice and frozen raspberries add a much needed tartness that balances this smoothie. 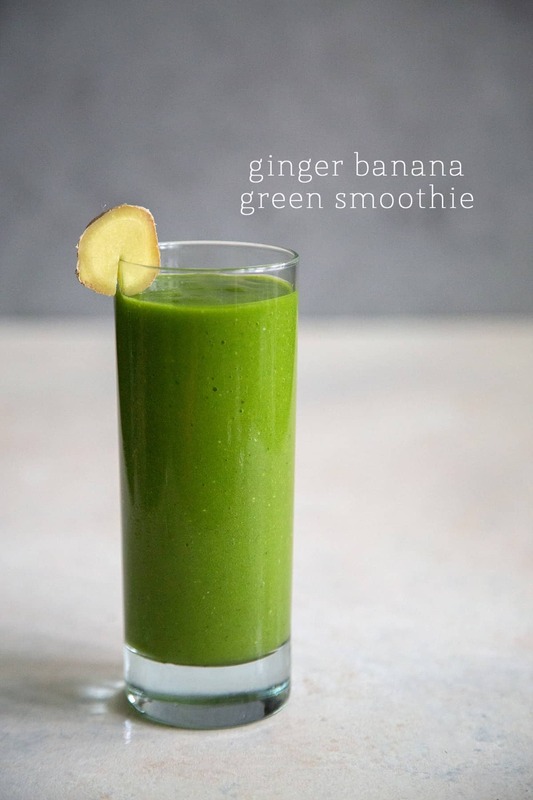 If the green smoothies are too much for you, this super antioxidant smoothie is an excellent starting point. 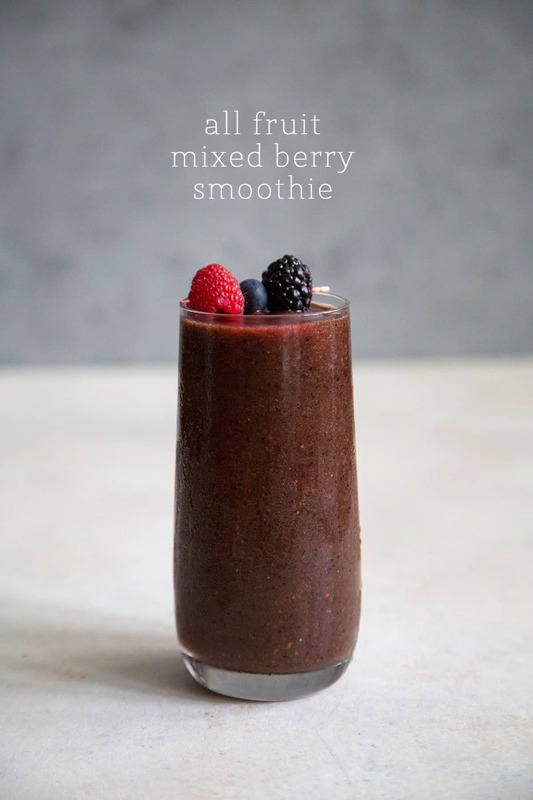 Made with a combination of frozen berries, this smoothie is tart yet satisfying. For addition nutrition (and to cut through all the fruit), a little yogurt would blend in perfectly. This is the kind of smoothie that could totally pass as a dessert. It’s bright vibrant color is inviting. The combination of apple juice and frozen raspberries and strawberries creates an almost sorbet like smoothie. It’s a delicious anytime treat. For all smoothies: place all ingredients in a blender in a process until smooth. Enjoy immediately. 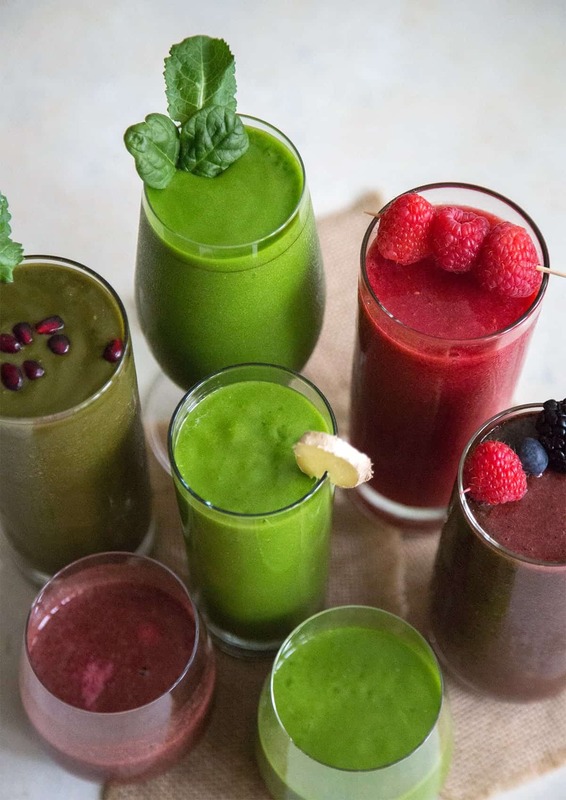 Love the look of all of these smoothies! I’d happily start my day off with one of these or sip on one when I get the afternoon munchies. Those are all gorgeous, I want to try every one of them! Wow!! All of these smoothies are gorgeous!! I can’t wait to try them!! Gorgeous smoothies! I never say no to a great smoothie! Oh! That banana mango smoothie! Craving that! These recipes are totally up my alley. Healthy, easy and refreshing. Love all off the combos. These are gorgeous!! It’s like a sunny array of delicious health! 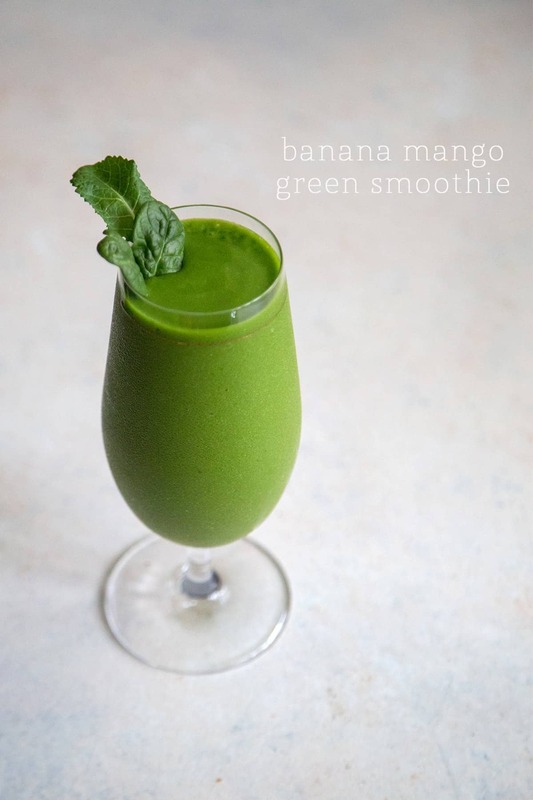 This yummy smoothie is a great healthy way to start the day! The best part of this smoothie is you don’t feel like you’ve given up anything! It’s so delicious! Hi there! I was wondering if there was something I could use to replace the coconut water? 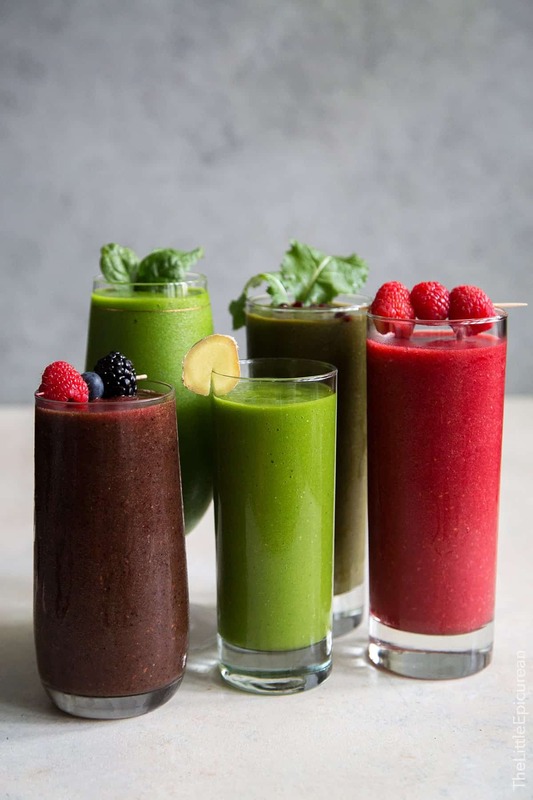 There are severe allergies in my family, but I’d still like to try out these delicious looking smoothies! I suggest replacing the coconut water with another somewhat neutral flavored liquid such as aloe vera juice or maple water. If not, simply use apple juice.